Banned Books Week, held the week of September 24th in 2017, is an annual celebration of the freedom to read. 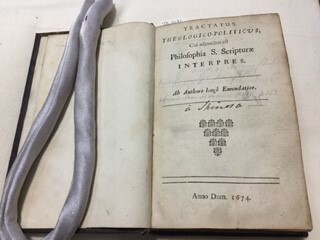 New College Library holds many texts that have been banned at different points in history, and by different nations and cultures. 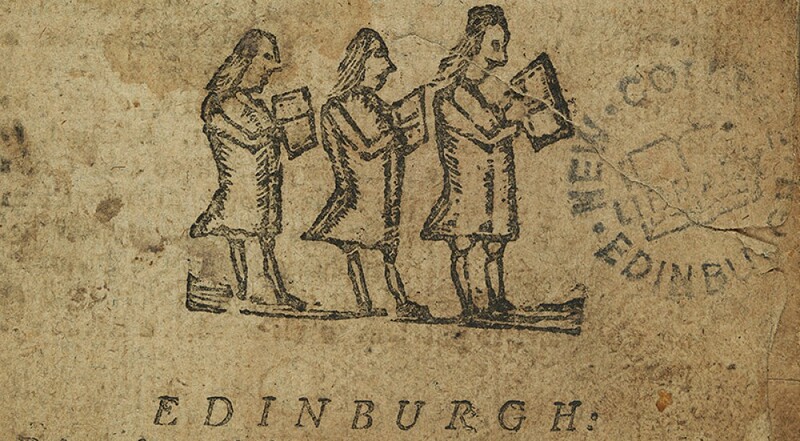 This week you can see some of these banned books on display in New College Library. 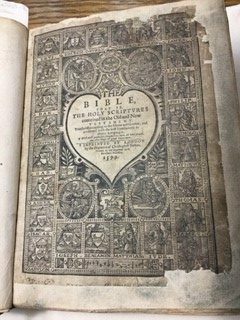 In 1616, King James forbade the printing of new editions of the Geneva Bible: he considered it seditious, and his own version was not yet popular. Geneva editions claiming to be printed ‘London, 1599’ may be produced post-1616 in Amsterdam and falsely dated to get round this ban. In this book Spinoza makes a systematic critique of Judaism, the authenticity of scripture and all organized religion in general. For instance, he claimed that the Torah was a product of a particular time and place and could now no longer be regarded as a valid document. Spinoza was part of a Portuguese Jewish community in Amsterdam, and his highly contentious ideas meant that Jewish religious authorities issued a shunning order or herem against him. His books appeared on the Catholic Church’s Index of Forbidden Books. Hitler, Adolf. & Murphy, J.V., 1939. 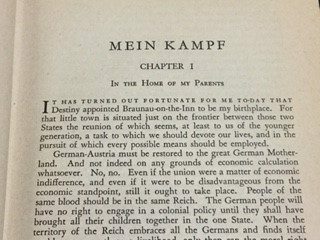 Mein Kampf. London: Hurst and Blackett. Hitler’s autobiography outlines the development of his anti-semitic views and his political ideology. The historical effect of Nazism upon Europe during World War II and the Holocaust, made it a highly controversial book. After Hitler’s death, copyright of the book passed to the state government of Bavaria, which banned copying or printing of the book in Germany, until the work passed out of copyright in 2016. German pastor Dietrich Bonhoeffer was a determined opponent of the Nazi regime. Protesting against the removal of the Old Testament (because of its Jewish origins) from the German Bible, he was a leader in an underground Church movement in Germany during the 1930s and beginning of World War II. 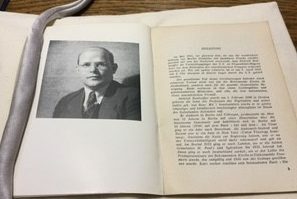 In 1941, Bonhoeffer was forbidden to print or to publish by the authorities, and in 1943 he was arrested and imprisoned. This is a memorial volume published in 1945, the same year that Bonhoeffer was executed by the Nazis. 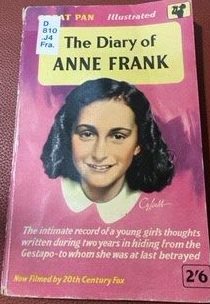 Challenges to the inclusion of Ann Frank’s diary in classroom teaching have been made at individual schools or school districts. Recorded objections from parents were to sexual content in a revised edition. Rushdie, Salman, 1988. The Satanic verses, London: Viking. This award winning novel by Salman Rushdie refers to a group of Qu’ranic verses said to allow intercessory prayers to be made to three Pagan Meccan goddesses. 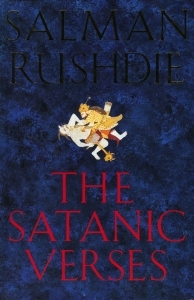 The novel was accused of blasphemy by Muslims and resulted in a fatwā calling for Rushdie’s death issued by Ayatollah Khomeini, the Supreme Leader of Iran. Rushdie had to face several assassination attempts and live under police protection. 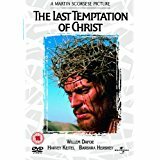 This film depicts the life of Jesus Christ and his struggle with various forms of temptation, including a depiction of Christ being tempted by imagining himself engaged in sexual activities. 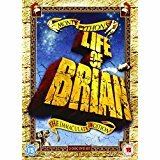 The film’s release in 1988 provoked angry protest from several Christian communities, and it was banned in countries including Greece, Turkey, Mexico, Chile, and Argentina. Reaction to this religious satire may have worked in its favour. It was banned in several countries, allowing a Swedish marketing poster: ‘So funny it was banned in Norway!’. Despite controversy over extreme violence and allegations of anti-semitism, this film was only banned in Malaysia, and that briefly. It was not forbidden in Israel, but no cinema chose to show it. Rowling, J. K., 2007. Harry Potter and the deathly hallows, London: Bloomsbury. PR6068.O93 Row. According to the American Library Association the Harry Potter books are the most challenged of the 21st century. Many objectors were concerned that they would encourage children to the occult. Rowling, a practising Christian, strongly refuted these allegations. This entry was posted in Library and tagged Bible, censorship, Christianity, diversity, Holocaust, islam, Judaism, twentieth-century by cloverodgers. Bookmark the permalink.